Home > Articles > The GIS of Trees: Location Intelligence and Maps Are the Future of Just About Everything! That’s the type of limited thinking that I often accuse my clients of falling prey to! All too often, we miss the signs of significant change in an industry, unless we actually spend some time to work in that industry. Such it is with the cutting and clearing of trees….. who would have thought! Well, I should have! Of course! Intelligent vegetation management by location intelligence professionals. Of course their industry has transformed into a technology driven industry – in which tech provides a pathway to the delivery of all kinds of innovative services and capabilities. And the fact is, this transition has been underway for a long time ; too many of us don’t spend time thinking just how quickly EVERY industry is being transformed. Here’s the fun part – my entire morning before reading this blog post has been bound up in properly catching the essence of location intelligence as a professional service. Backstory: I’ve been talking about the emergence of the ‘location intelligence professional’ as a critical emerging career path for the last 20 years. Someone must have been listening, because my oldest son Willie Carroll went on to get a university degree and then a post-graduate college certificate in that very field! 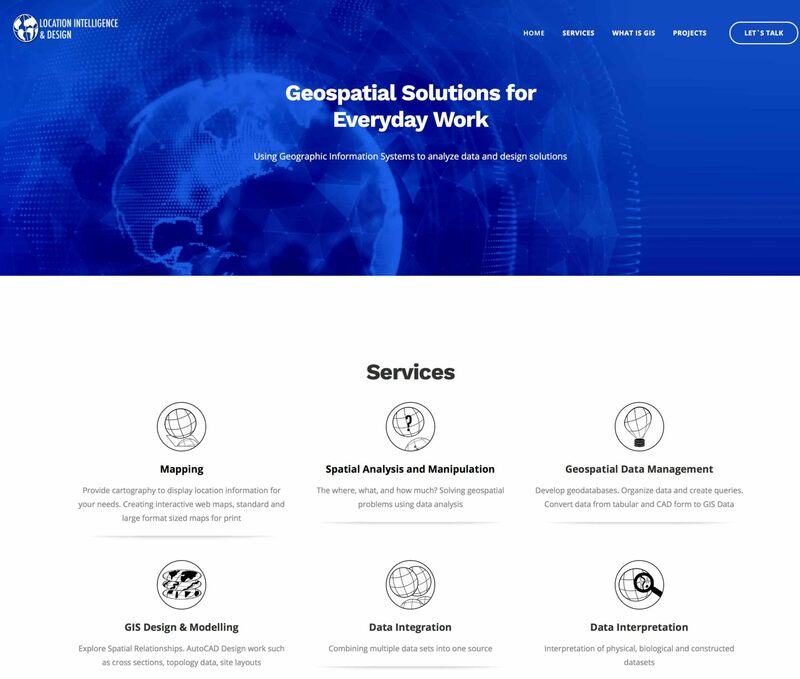 And just as I was reading this blog post from Lewis Tree, I’m working with Willie in the home office as he rolls out his new freelance GIS company, Location Intelligence & Design. Willie’s key skill set includes collection and interoperation of location / geospatial information with the leading such technology from ESRI, ArcGIS. Lewis Tree? The heart of their Intelligent Vegetation Management service is based upon ESRI’s ArcGIS! I love this world. There is just so much coming together all at once. I also love this line in their blog post: “We need to learn what we don’t know and fill our knowledge gaps.” Yup, me too! 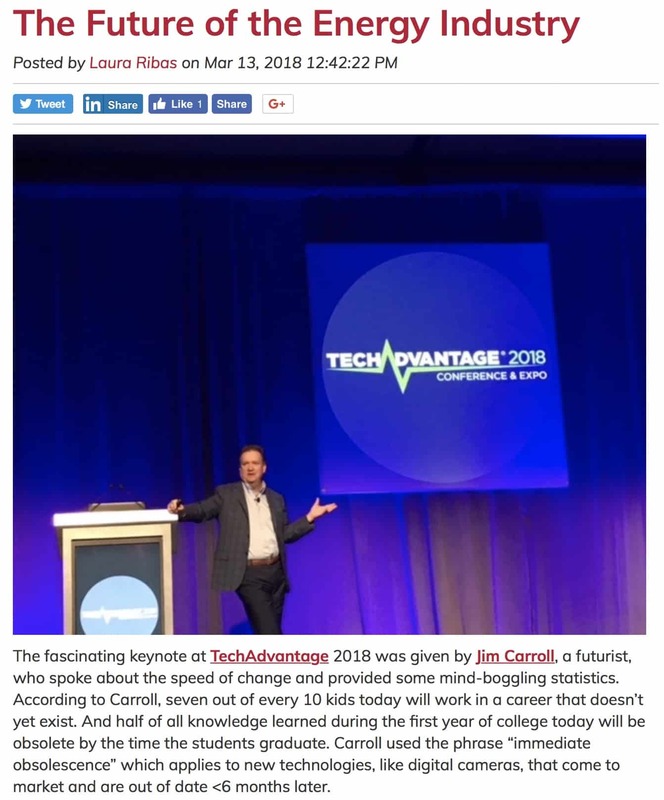 The fascinating keynote at TechAdvantage 2018 was given by Jim Carroll, a futurist, who spoke about the speed of change and provided some mind-boggling statistics. According to Carroll, seven out of every 10 kids today will work in a career that doesn’t yet exist. And half of all knowledge learned during the first year of college today will be obsolete by the time the students graduate. Carroll used the phrase “immediate obsolescence” which applies to new technologies, like digital cameras, that come to market and are out of date <6 months later. We’re in the midst of unprecedented change with more change expected in the next few years than has occurred over the last 150 years. The world will look vastly different in ten years than it does today. The world is becoming hyper-connected and business models are shifting with this massive connectivity. Our smart phones are now digital cameras, credit cards and GPS devices. We can manage the heat and security of our homes from afar. Our kitchen appliances are connecting with food packaging and retailers. Home sprinkler systems have moisture sensors (because why water when we don’t need to?). We now have medical tricorders that provide an instant readout of our healthcare and physical condition. The science fiction of Star Trek and the Jetsons is here today. When Napster introduced the ability to download MP3s, the music industry was threatened as their business model changed. The same will be true for utilities and those serving them. Will we see change as a threat or an opportunity? Smart businesses will see change as an opportunity. What does this new world look like? It’s a world where big data and analytics are key. It’s a world where precision farming is conducted by drones analyzing plant health, soil composition and more. Where real-time information is provided to vehicles to inform lane changing. Where street lights monitor air quality and offer car charging stations. Where highway control is intelligent. Where we’ll have 24/7 solar energy even when it’s dark outside. Carroll believes that these are near-term, not long-term, trends. That self-driving trucks are five years away. That flying cars are simply drones scaled up in size and able to carry people. 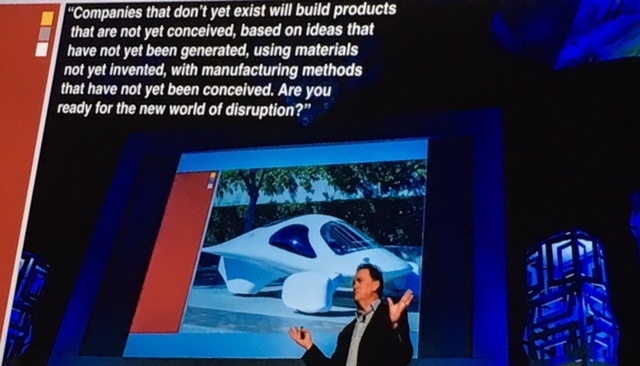 Moore’s law of innovation velocity is happening before our eyes. The advancements in battery technology are staggering (and small always beats big). With grid parity, customers will generate their own energy and share it with each other via micro grids. According to Carroll, the micro grid is not a fringe idea; it is fundamental to the future. (Check out this ComEd press release sharing that they’ve been approved to construct one of the first utility-scale microgrid clusters in the nation.) Think of Napster but for energy: cooperative energy networks. Distributed technology resources are growing three times faster than other technologies. Advanced technologies will reshape the industry and edge thinking dominates. Maytag used to sell appliances. Now equipment manufacturers sell service levels and uptime using predictive diagnostics. Utilities are also becoming insurance companies, hedging customers against risk using real-time data to eliminate outages. Blockchain technology, like that used for Bitcoin, will have a massive impact on smart grid technology transforming the architecture of the grid itself. We’ve seen the costs of LiDAR collapsing from $75K to $100. Carroll joked that pretty soon they’ll be selling LiDAR packs at Dollar General. A massive shift in location-based services is underway. And mapping requires location intelligence professionals. And with customers using smart thermostats like Nest and Ecobee, utilities can also provide innovative ways for customers to receive rebates. Think of today’s kids. They don’t know mainframes and DOS. They’re wired, collaborative and global. They’re gamers. What happens when gamers buy houses with Ecobees? They compete against their neighbors to win energy rebates. Devices with participatory data are the future. The grid is a complex data engine and data is the new oil in energy. We need to learn what we don’t know and fill our knowledge gaps. To be prepared requires garage-like thinking. We need to ask ourselves, are we leaders or followers? And how quickly can we change? At Lewis Tree Service, we believe that one of the benefits of introducing our Intelligent Vegetation Management solution as a forerunner in the industry is that it enabled us to become more agile, flexible and customer-centric when it comes to technology and innovation. 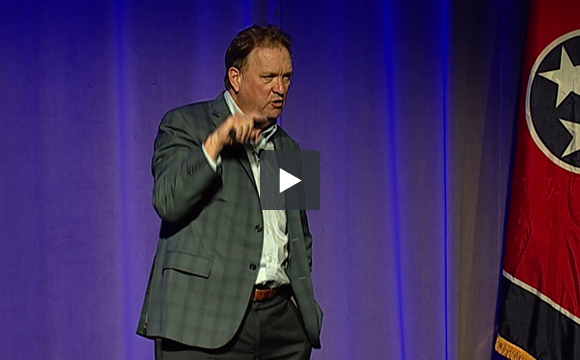 We’re big fans of Carroll’s adage: Think big, start small, scale fast.